Even Supergirl needs keys. She can't just walk around, busting down every locked door that she comes across. Well, actually she could. She has the strength to break through locked doors, but it's not very polite to walk around smashing doors to smithereens. Can you just imagine it? Kara Zor-El punching through her apartment door each time that comes home? That's downright silly and rude! To assimilate into human culture, she needs to adopt some of our ways. That includes using a key to lock the door, just like the rest of us humans! She needs a lanyard just like you, but the question is... what kind will you use? 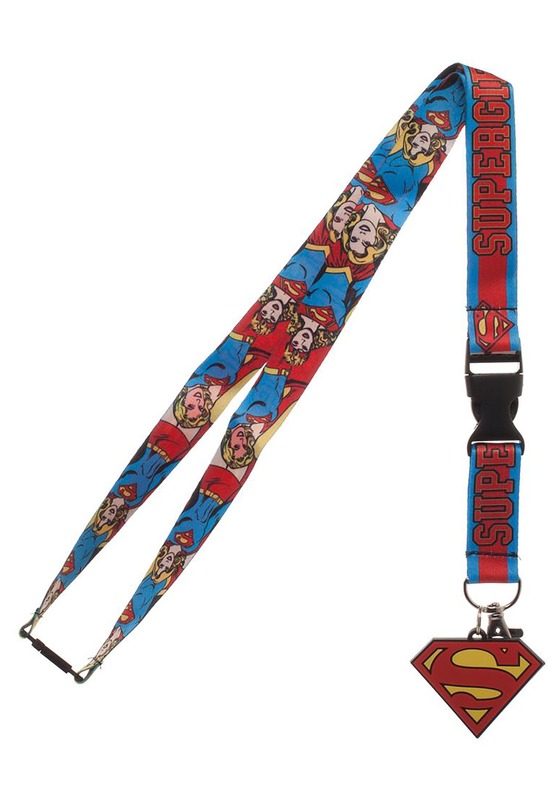 You could use a plain, boring lanyard, but there's really no need when this DC Supergirl lanyard exists! Perfect for DC Comics fans, this Supergirl lanyard comes with plenty of great details. The ribbon comes with various illustrations of the iconic superhero of the front side and "Supergirl" printed along the back side. It comes with a D-ring attached to the bottom, which will fit tons of keys. It also comes with an S-Shield charm attached to the bottom. Finally, a clear sleeve is included an ID card, so you can use this for work and special events where you need an ID badge. Supergirl doesn't smash down doors. She uses keys and so should you. Get this Supergirl lanyard to be more like her!